Firstly, a milkshake IPA is an IPA that is sweeter and heavier than a traditional IPA. Despite the confusing name, milkshake IPAs are fairly straightforward. They are a subsection of the New England IPAs we all know, but key differences in the brewing process make them creamier and sweeter, hence the name milkshake. Starting in 2015, Omnipollo, a Swedish brewery, began infusing sweet flavors such as strawberry, rhubarb and vanilla into their Magic Number beers and referred to them as smoothie IPAs. Later that year, after teaming up with American brewing company Tired Hands, they brewed the smoothie IPAs with lactose sugar and oats and, thus, the milkshake IPA was born. Since the lactose does not ferment, the sweetness carries through to the final product. Its use in brewing is not new, but lactose has traditionally been used in sweet, English style stouts, as opposed to the hoppy and bitter New England IPAs. The many different flavors of milkshake IPAs come from different fruits that are added after brewing. Any fruit in the world seems to be fair game for being added, everything from standards like peaches, strawberries and raspberries, to the more exotic, and less obvious fruits like papayas, pineapples and mangoes. Similar in color but thicker, milkshake IPAs have quickly become the next big thing in brewing and are still on the rise today. Craft breweries in the US, Europe and Australia are all taking off with the idea and beer drinkers are loving it. While milkshake IPAs don’t have their own, official sub-category in the Beer Judge Certificate Program, BJCP, a prominent non-profit organization aimed at promoting beer literacy and judging beers in the US, many expect it to happen in the next few years. For now though, raving reviews will have to do for the new style of IPA. These milkshake IPAs occupy the sweet spot -pun intended- between the lightness of IPAs and the sweetness of stouts, leaving behind the traditional bitterness of IPA and heaviness of the stout. No longer will you have to choose between dessert or another beer because now they’re one and the same. Among the best milkshake IPAs to give a try are Aren’t You Peachy from Austin Beer Bros. and Honolulu Handshake from Kansas-based Central Standard Brewing, with notes of pineapple and vanilla. 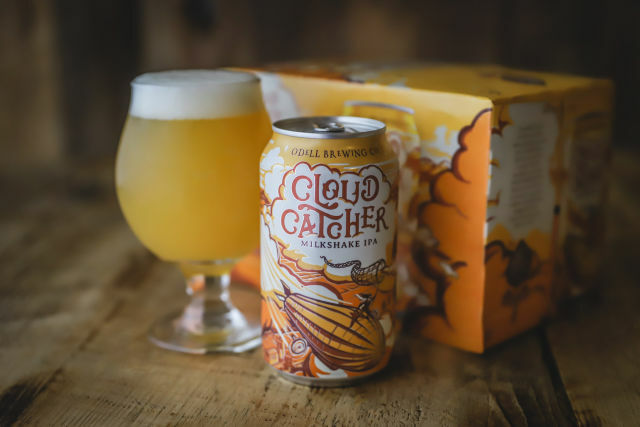 If neither of those is available near you, a quick online search will give you a slew of other fruity milkshake IPAs to quench your thirst and satisfy your sweet tooth. Check out FoodBoss to find out where you can get one of these great drinks delivered with your next food delivery order at the lowest possible price!